It’s difficult to know what to do after you or someone you love has been seriously injured in an accident. While recovery and healing should be your main priority, you probably still have questions about paying for your medical bills, what to do if you cannot work and who can be held accountable for your suffering. At Paige J. Donnelly, Ltd., we have been serving accident victims and their families throughout Minnesota and into Wisconsin for more than 58 years. Our legal team handles a wide range of personal injury claims, including truck accidents, brain injuries and serious bodily injuries. Due to our extensive experience, there are virtually no types of accident cases that we have not resolved. And while the accidents and injuries may vary from client to client, our commitment to obtaining just results remains consistent in all that we do. Insurance companies are not looking out for your best interests after an accident, but our law firm will. Our attorneys are deeply invested in every case that we take and work tirelessly to help you secure the compensation you deserve. We bring the strength and perseverance needed to fight for you, and the experience to obtain results. But we also realize that you want more than legal strength right now. So we’ll also give you the care you need to get through this difficult period in your life. 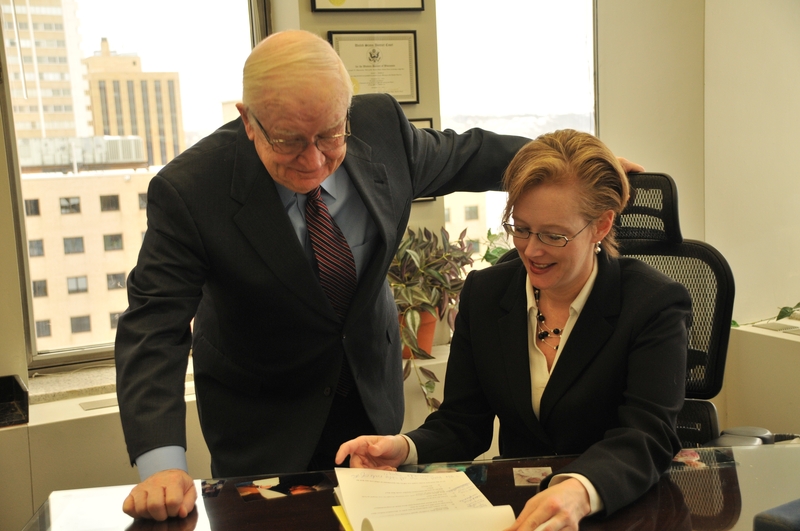 Each of our lawyers brings a wealth of experience and track record of results to each case we take. But our attorneys do not act alone in the pursuit of justice on your behalf. Unlike most other firms, we have in-house investigators who work to secure the necessary evidence to prove your claim. We are also supported by an exceptionally talented and compassionate administrative staff. Working together, we get results. Paige J. Donnelly, Ltd. is located in St. Paul, MN and serves clients in and around Saint Paul, South Saint Paul, Mendota, Newport, Willernie, Minneapolis, Lake Elmo, Inver Grove Heights, Anoka County, Dakota County, Hennepin County, Ramsey County and Washington County.